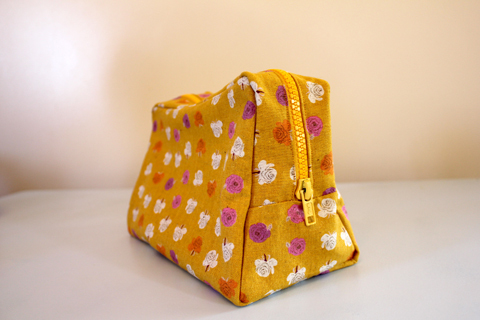 I made my most recent Weekend Away Bag (again from Heather Ross's Weekend Sewing) for my other sister, Isabelle. I sent it to her at Mary Washington for Valentine's Day. 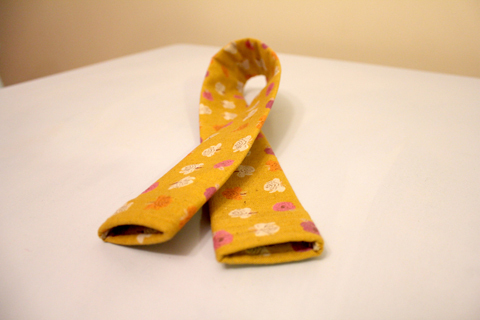 It is made with Far Far Away II roses in gold (also by Heather Ross!). I lined it with an orange polka dot I found in Waynesboro. 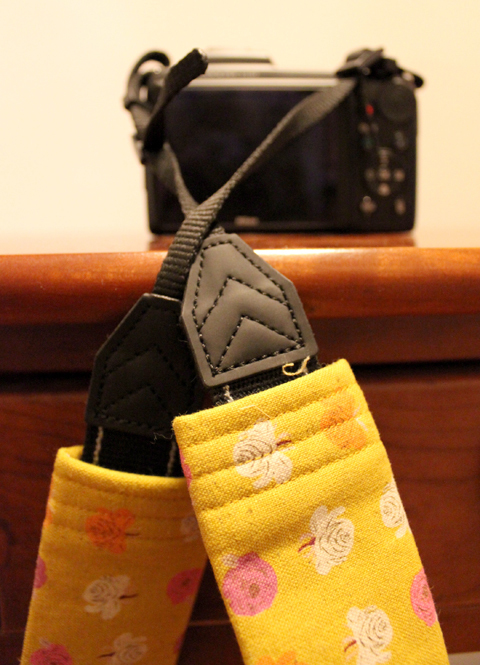 It, of course, coordinates with the camera strap cover/pad I made her for the new camera she got for Christmas. 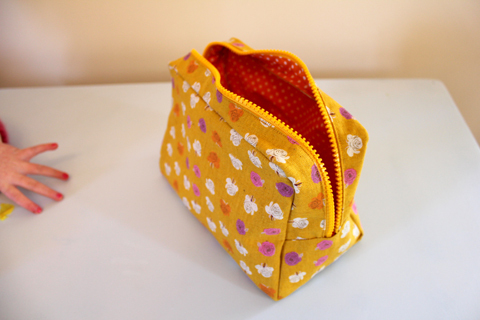 The tutorial is from Skip to My Lou via Sew Mama Sew's Handmade Holidays back in December. 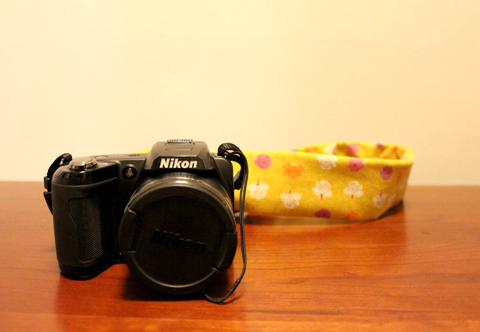 I made one for my camera first, a Canon DSLR, and followed her measurements (mine actually matches my yoga mat bag). For Isabelle's, since it is the smaller Nikon with a thin strap, I measured the strap first and cut the cover a little narrower. I still have so many projects still on my list from the Handmade Holidays posts. Maybe I'll get to them by next year! Oh wow - how beautiful and practical are these bags?! Makes me wish i could sew - I tend to make it so the finished product is worse off than how it started.